Shyp is an on-demand shipping, packaging, and fulfillment service. 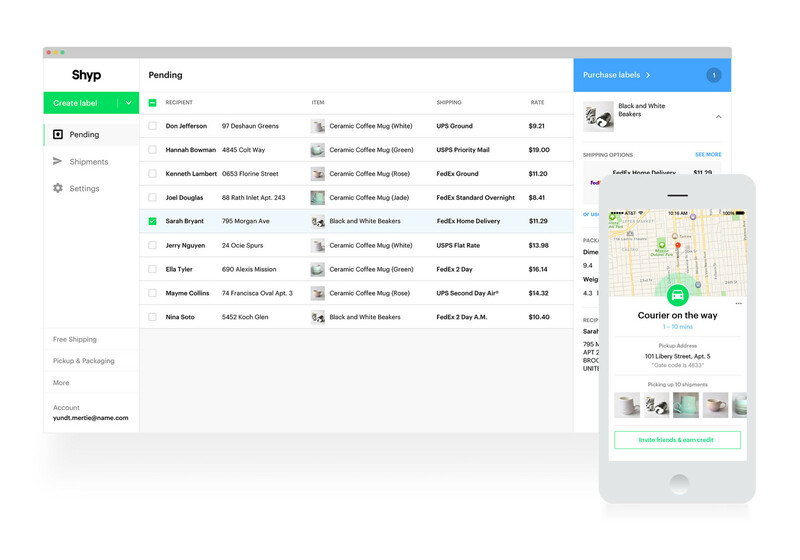 Shyp provides a suite of shipping solutions for individuals, small businesses, and enterprises. They provide price comparison so you can get the lowest rates, allow you to print labels, and will pick up and package your items too. For example, a driver will come to your house or business, pick up all items, then take them away to be professionally packed and shipped to their destination. Shyp connects the packages to USPS, FedEx, UPS, OnTrac or other regional carriers - automatically figuring out the best carrier to use for each individual delivery. Dropoff is re-inventing on-demand, same-day delivery for business, with our highly-rated service and proprietary logistics technology. EquityZen does not have an affiliation with, formal relationship with, or endorsement from Shyp or any companies featured above.